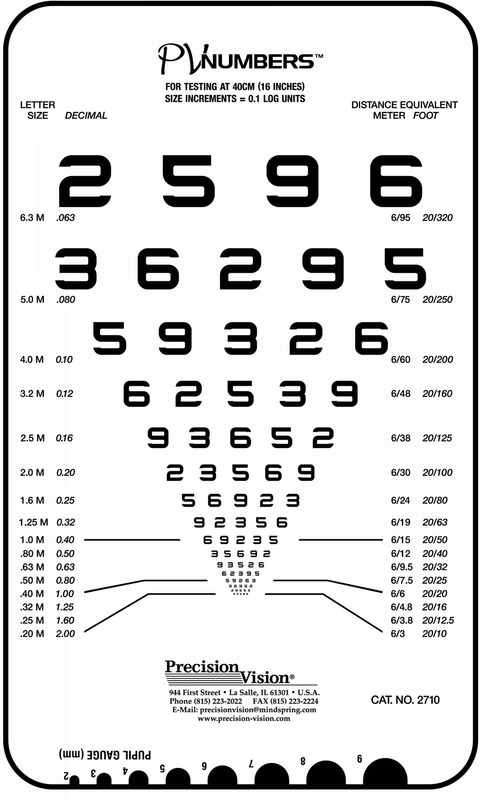 This pocket card features a unique horizontal design for testing. 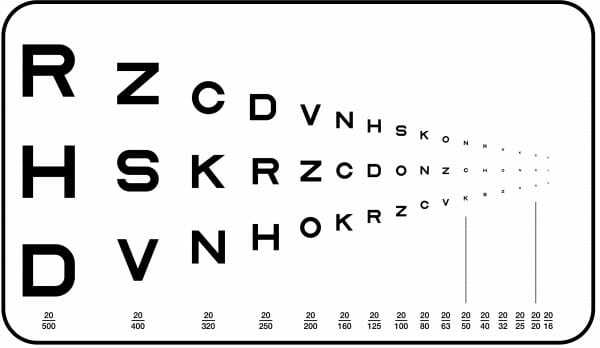 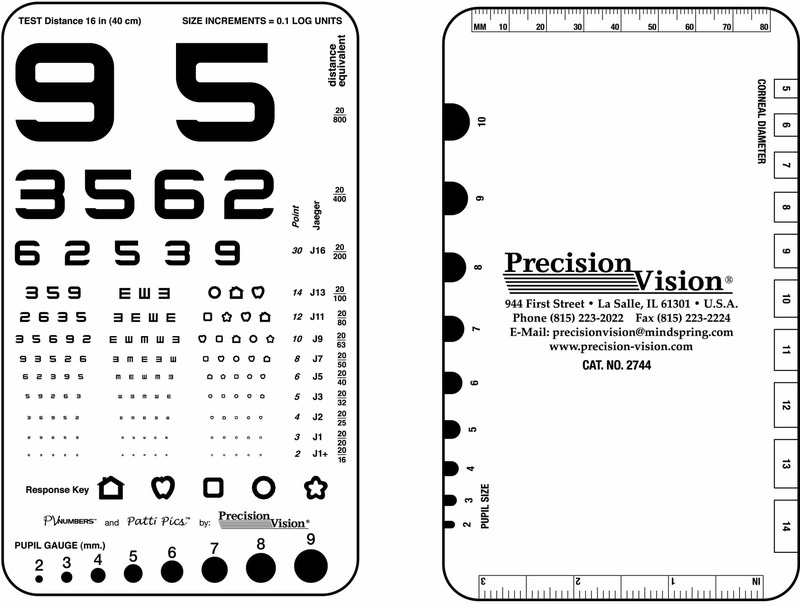 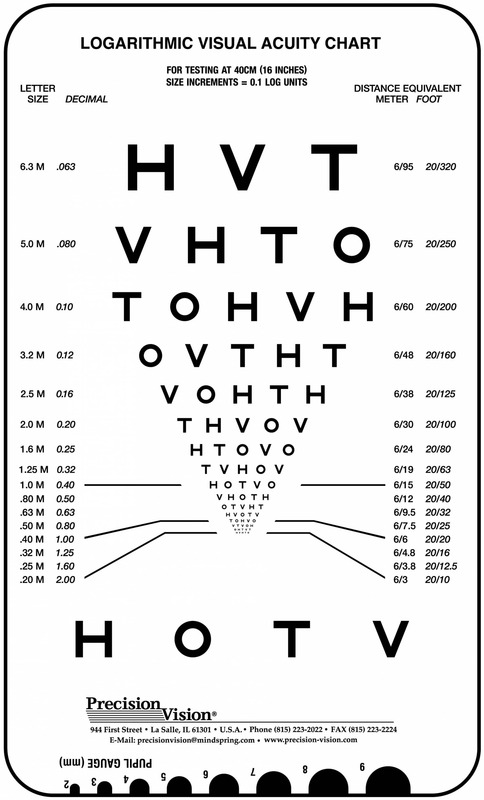 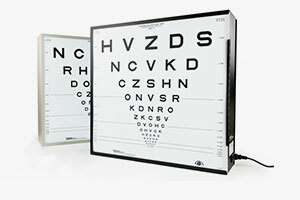 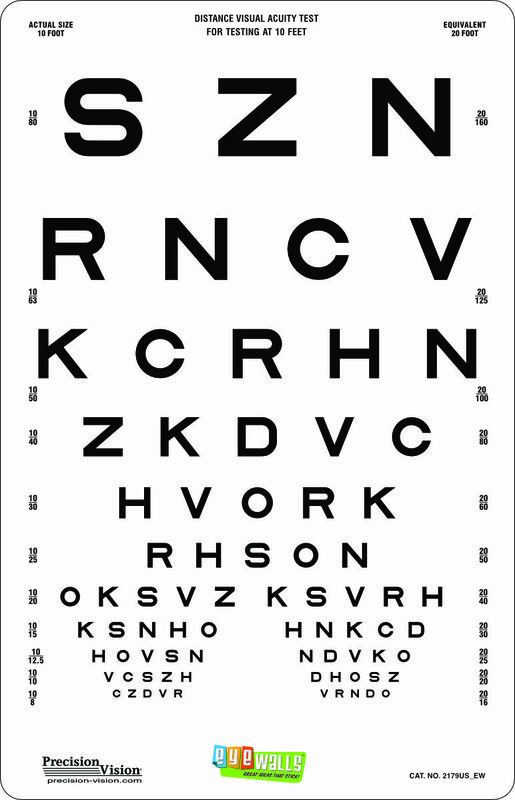 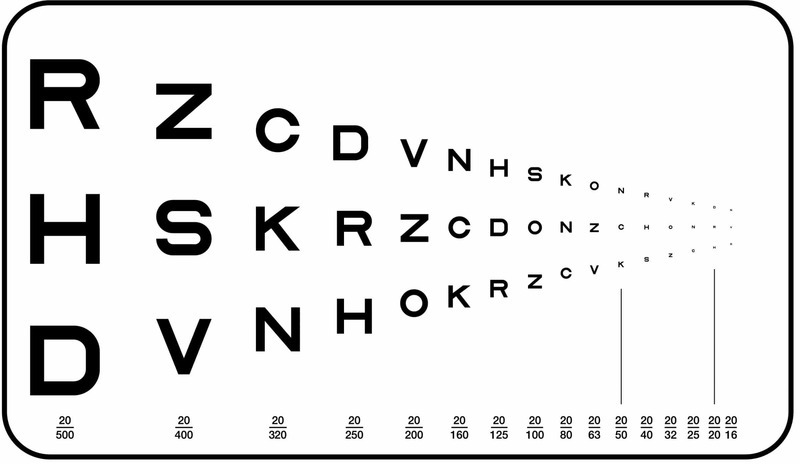 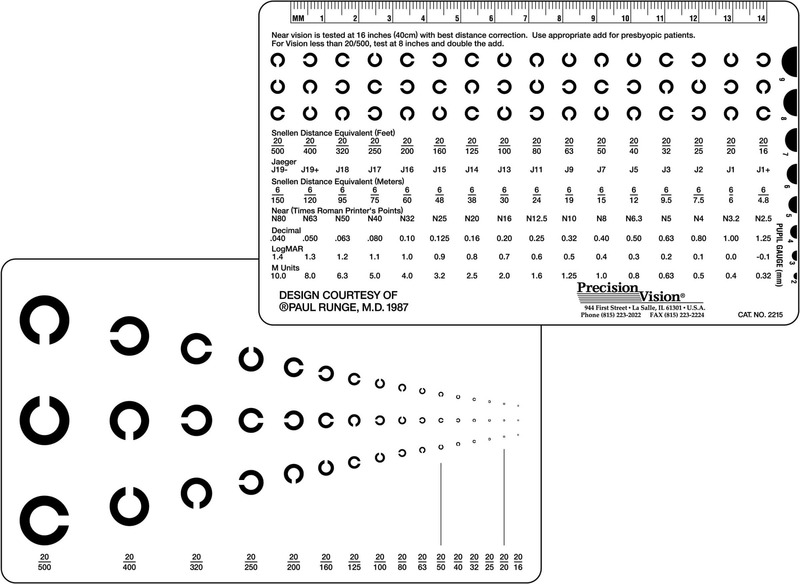 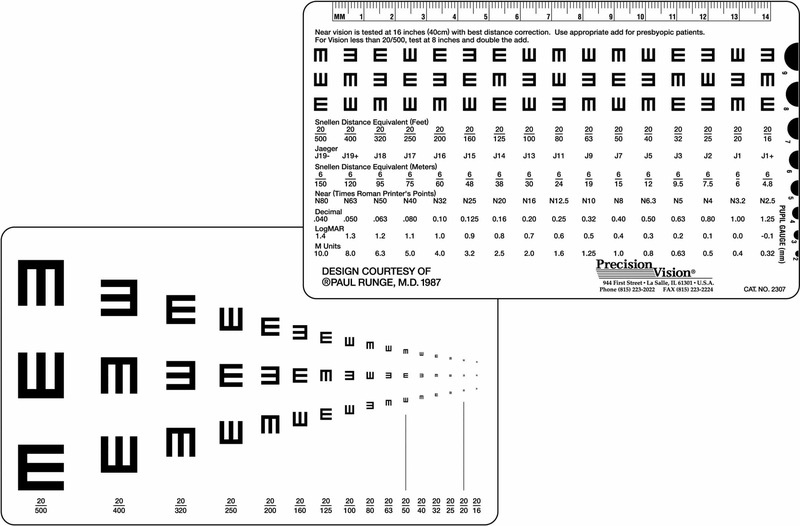 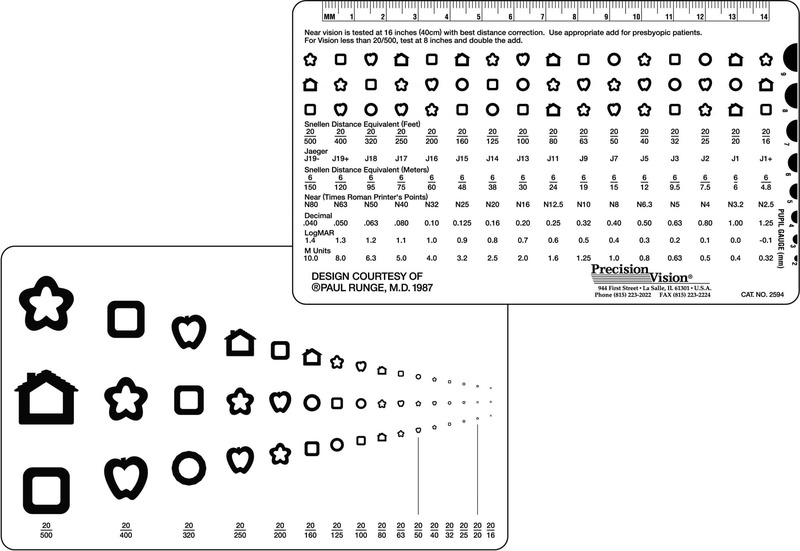 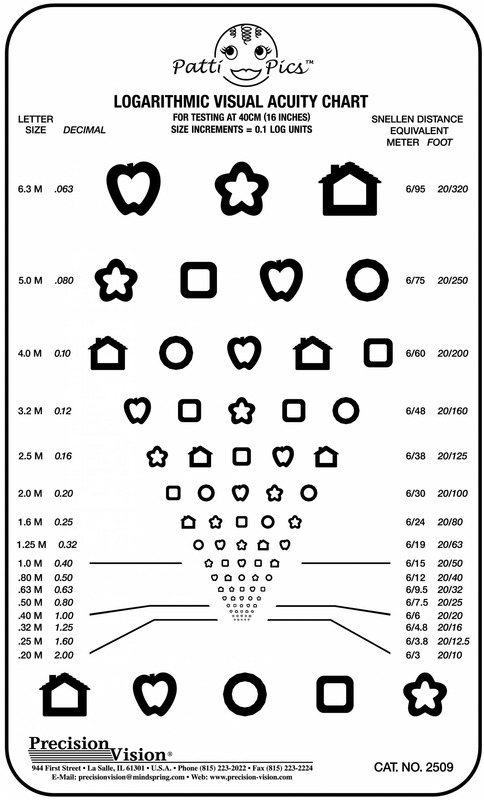 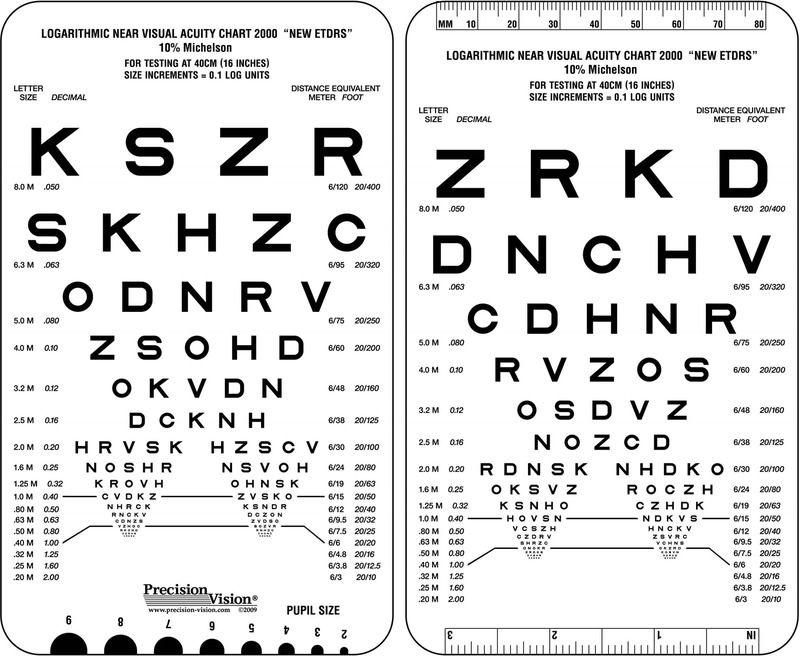 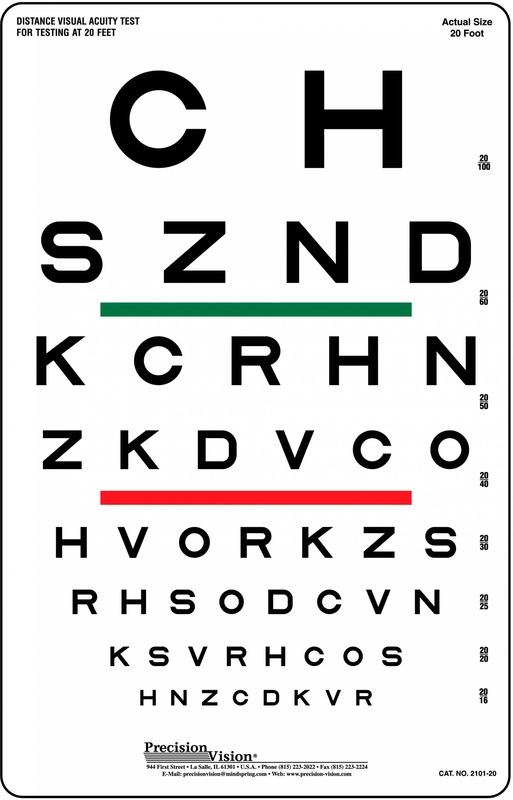 Also, chart is designed with the vision test on the front and the correct responses on the opposite side. 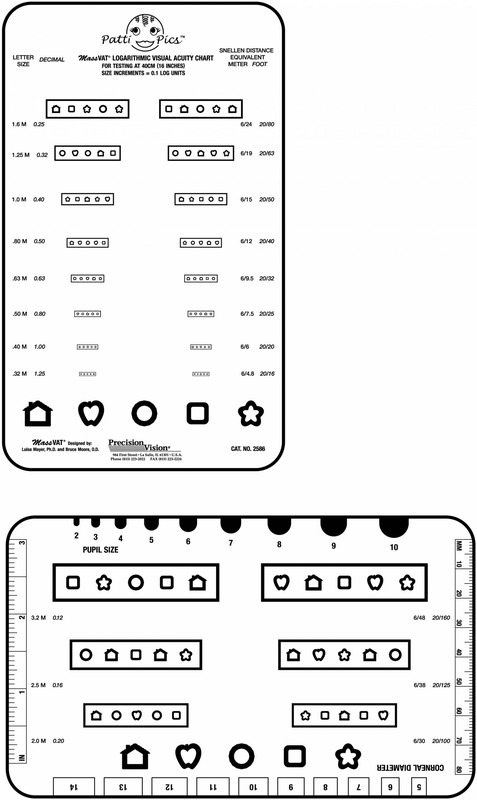 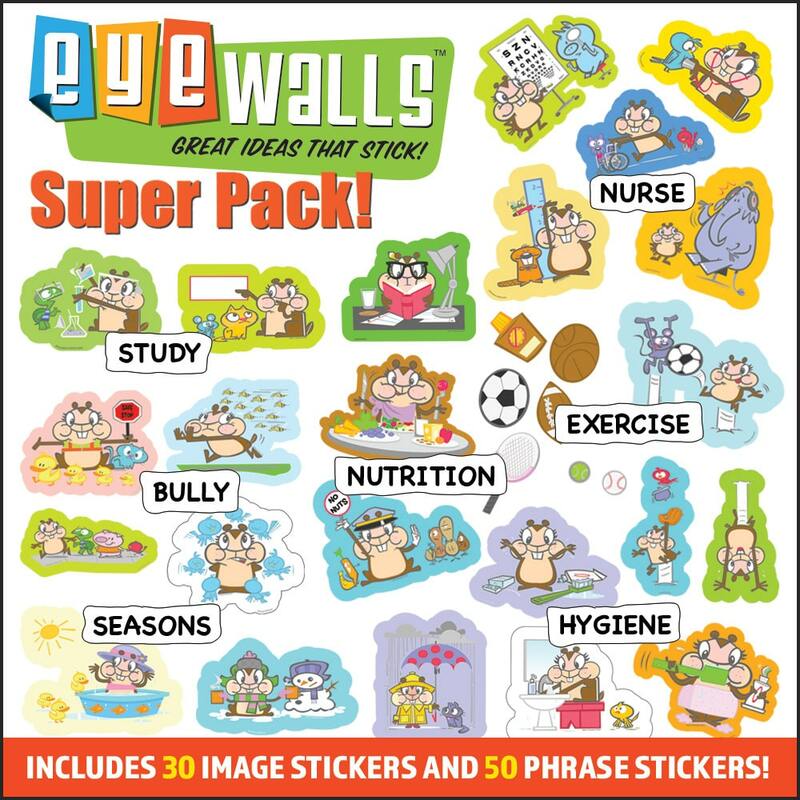 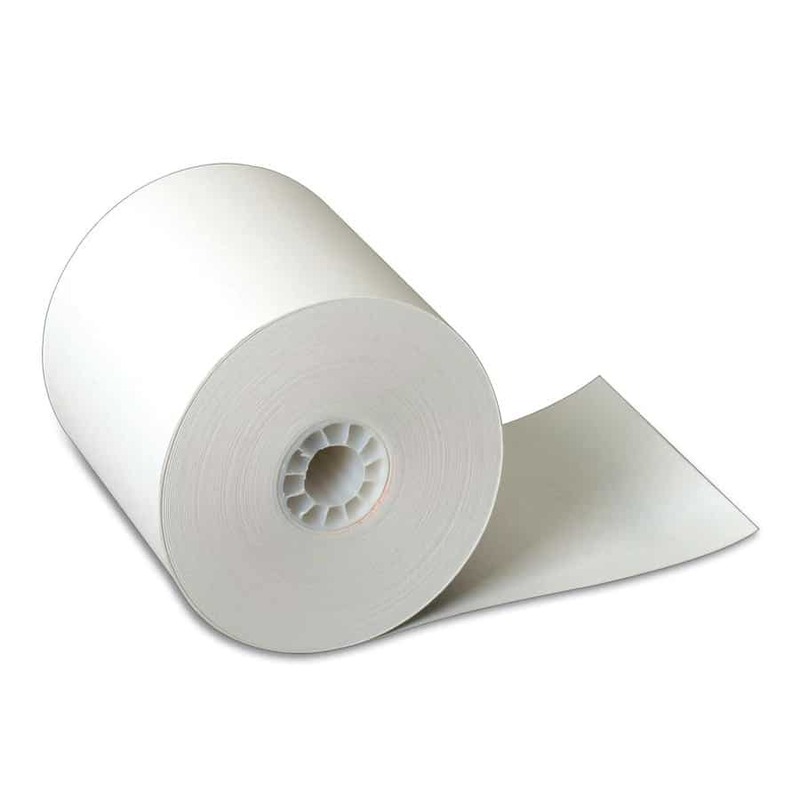 This design is great for quick and easy testing. 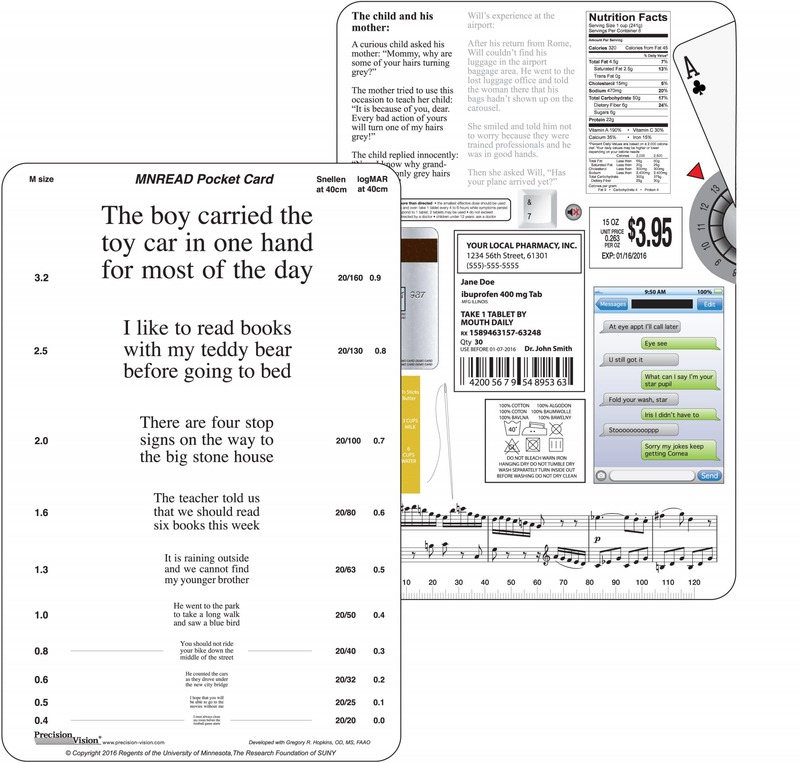 Also, chart features equivalents on the back of the card for easy conversion and recording.